SKU: 308. 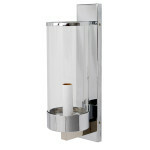 Category: Lighting, Sconces. 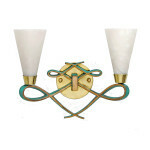 Tags: 1stdibs, art deco lighting, art deco sconce, deco moderne, glass lighting, glass rod lighting, glass rod sconce, modern deco. 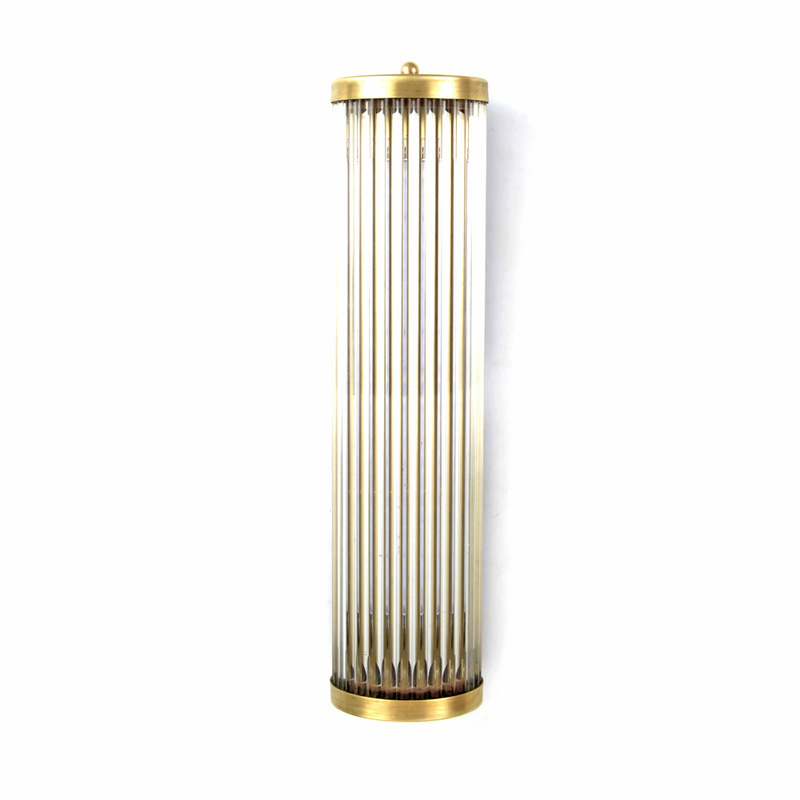 Custom Modern Art Deco Glass Rod Wall Sconce in Long Cylindrical Shape. 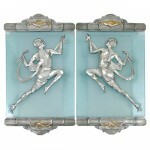 Custom Design in the Art Deco Style. Constructed in Minimalist Design. Available in Single Light Custom Dimmable 110v LED Light Bar Design with ETL Listing or Standard Double Candelabra Configuration. Single Ball Finials. Finished in Satin Nickel. 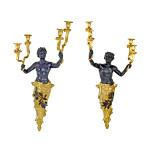 Other Finishes Available, e.g. Hi-Polish Nickel, Chrome, and Various Brass Finishes. Please See Images of Our Brass Sample.